I’m delighted today to be a part of the blog tour for author Valerie Bowman’s KISS ME AT CHRISTMAS. Not every leading lady finds love, gets married and sustains a domestic life. What about the ladies who were never swept off their feet? Do they take matters into their own hands? In the delightful addition to Valerie Bowman’s Regency-set Playful Brides series, Regina has written off the prospect of marriage, but she still would very much like a pleasurable distraction in her life. 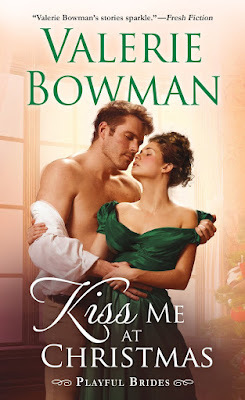 KISS ME AT CHRISTMAS, connects a headstrong spinster and a noble Bow Street Runner tasked with protecting her during Christmas time in London. Regina has one mission: to find a night of passion in the arms of a gentleman. Considered firmly on the shelf, Regina has given up on marriage—but that doesn’t mean she wants to be denied the pleasure married ladies experience. Daffin has long captured her attention…and when a threat calls him to her side, the sparks between them ignite. But how can a hired bodyguard find his way into Regina’s reserved heart? Here's an excerpt for your reading pleasure. Her coach came to a stop in front of the offices of the Bow Street Runners in central London, and she drew in a deep, unsteady breath. She pressed her hands deeper into the white fur muff that sat atop her lap and willed her pounding heart to slow its nervous beat. Christmastide was her favorite time of year. She was in high spirits, but she was also as nervous as a young lady making her debut on her way to see the queen. This par tic u lar outing had every chance to end in disaster. She glanced out the window. She probably should have hired a hackney. It would have been less conspicuous than her uncle’s resplendent coach. There were already several onlookers staring up at the black- lacquered conveyance with the Duke of Colchester’s seal on the side. She glanced down at her clothing. No doubt her ensemble was too elegant for marching into the offices of the best private investigative team in London, but she had no other clothing to wear, and this particular message was best delivered in person. She didn’t know Daffin Oakleaf’s home address, and she hardly thought a note to him for what she had in mind would be appropriate. No. Regardless of the stares, she had to see him in person. Her stomach performed a somersault. Could nerves make one physically ill? She suspected they could. Suspected hers would. She winced. It wouldn’t do to cast up her accounts in front of the man. That certainly wouldn’t attract him. She glanced at her maid, who sat on the seat facing her, back ramrod straight. If the proper young woman knew what Regina was thinking, no doubt she’d be scandalized. Precisely why Regina had said as little as possible about their outing today. Genevieve hadn’t asked many questions. Thank heavens. Daffin Oakleaf pushed himself away from his office desk and scrubbed both hands across his face. He was tired. Bone tired. He hated Christmastide. He’d been running himself ragged chasing a particularly nasty thief across London for the last fortnight. Daffin had nearly had him, or so he thought, when a clue he’d been pursuing had turned to nothing. He was back to the start of his investigation, and severely out of sorts. Daffin loved his work. It was perfect for him, and it had made him a wealthy man, but days like this were frustrating as hell. He much preferred to be taking down criminals and delivering them to goal, instead of pacing his office with little to go on while they roamed free. He was obsessed with each one of his cases, but this one kept him up at night. This case made his blood boil. A child had been injured by the bloody thief, and if there was one thing Daffin couldn’t countenance, it was a grown man being violent with a child. He would track down this monster if it was the last thing he did. Most of Daffin’s investigations were done with the promise of a hefty purse at the end, but he was doing this one for free. He always took on a case or two for charity at Christmastide. It was the least he could do. Not to mention it kept his mind from the blasted season. Focusing on his cases made the holiday easier to ignore. Easier to forget. He pulled a notebook from his inner coat pocket and scanned the words he’d written on the case so far. Perhaps he’d missed something, some detail that would finally lead him down the right path to Henry Vickery. “I’m busy,” Daffin called back, not in any mood to be taken away from his case. It was prob ably someone else who’d read about him in the paper and wanted to make his acquaintance. The papers hounded him of late. One reporter in particular. Mr. H. J. Hancock. The man seemed obsessed with following Daffin’s cases. Week after week, for months now Daffin had been mentioned in his articles. The stories made him sound like a bloody hero. They described how he chased down bad men in the dark of night, vaulting over walls, climbing up to rooftops, and taking more than one bullet. He’d never have answered the reporter’s bloody questions if he’d known the man would go and write things like that. Being a hero wasn’t Daffin’s purpose. Never had been. He did his work to put the scum of society behind bars. To get evil people off the street. To spare their future victims. Now for those who aren’t familiar with the author, here’s a bit of background on her. VALERIE BOWMAN grew up in Illinois with six sisters (she’s number seven) and a huge supply of historical romance novels. After a cold and snowy stint earning a degree in English with a minor in history at Smith College, she moved to Florida the first chance she got. Valerie now lives in Jacksonville with her family including her mini-schnauzer, Huckleberry. When she’s not writing, she keeps busy reading, traveling, or vacillating between watching crazy reality TV and PBS. 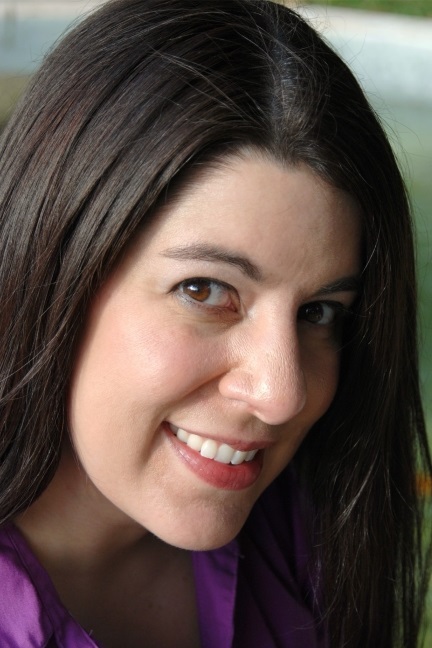 She is the author of the Secret Brides series and the Playful Brides series. Thanks for stopping by today. Are you ready to start reading Christmas themed books? It does sound like a heap of fun - and I do hope the lady gets her wish.